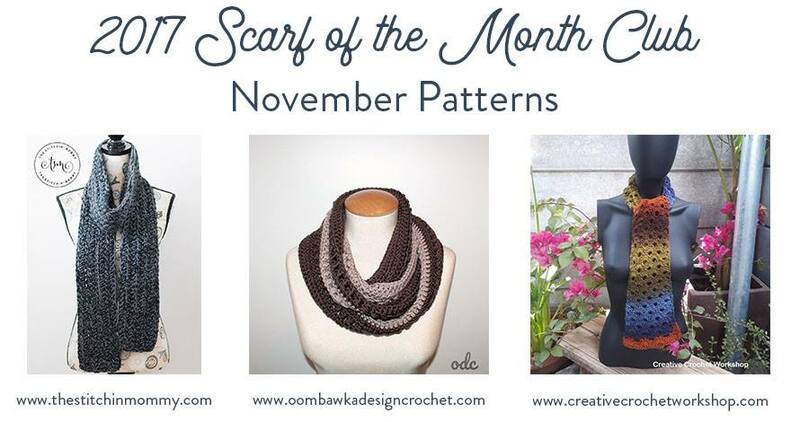 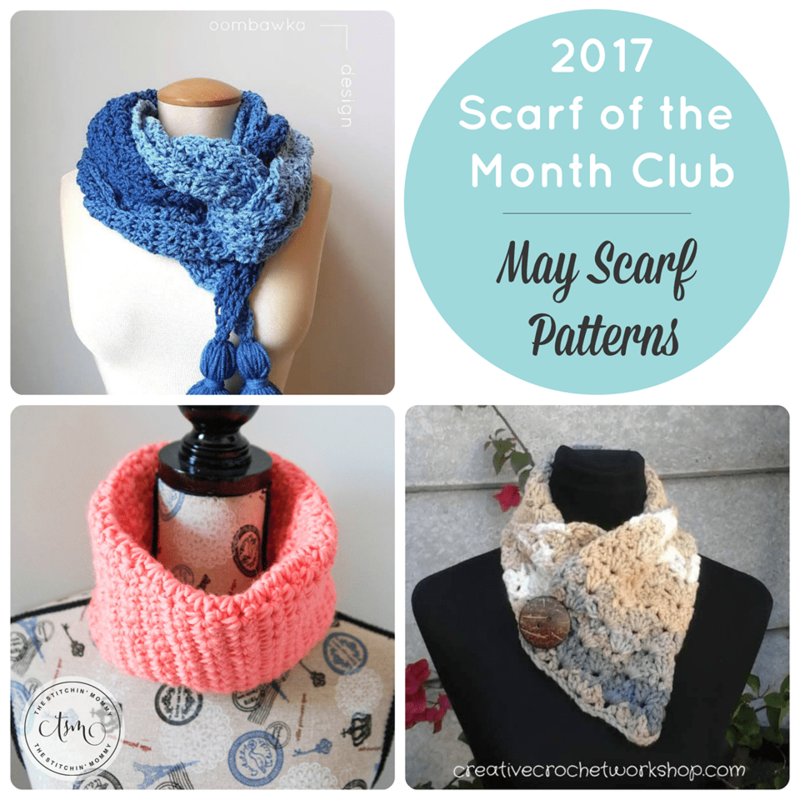 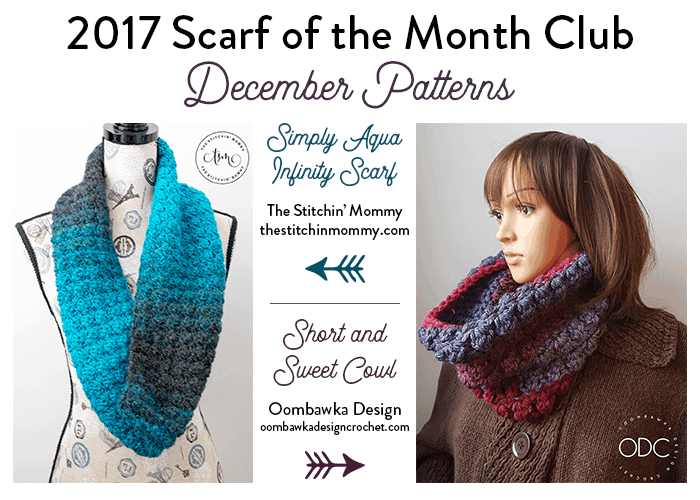 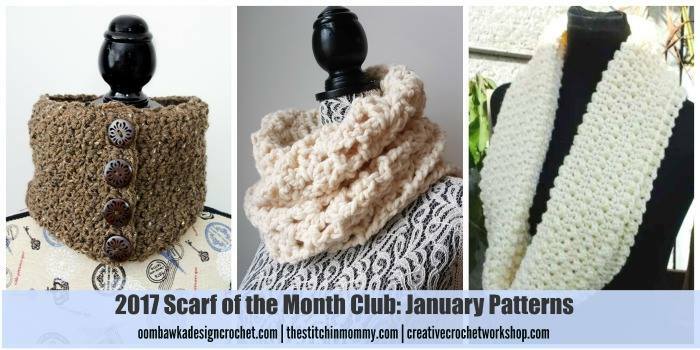 This week for our Free Pattern Friday Roundup I’m sharing with you the 2017 Scarf of the Month Club Pattern Collection. 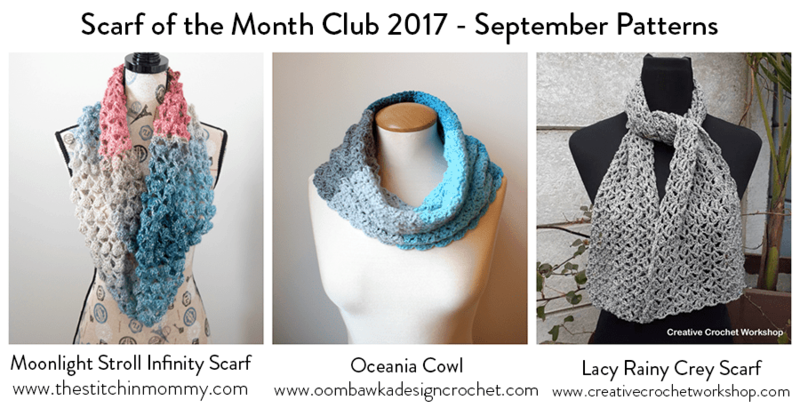 For the past 2 years Amy and I have been hosting an annual CAL even where you can make up to 36 scarves during the course of the year! 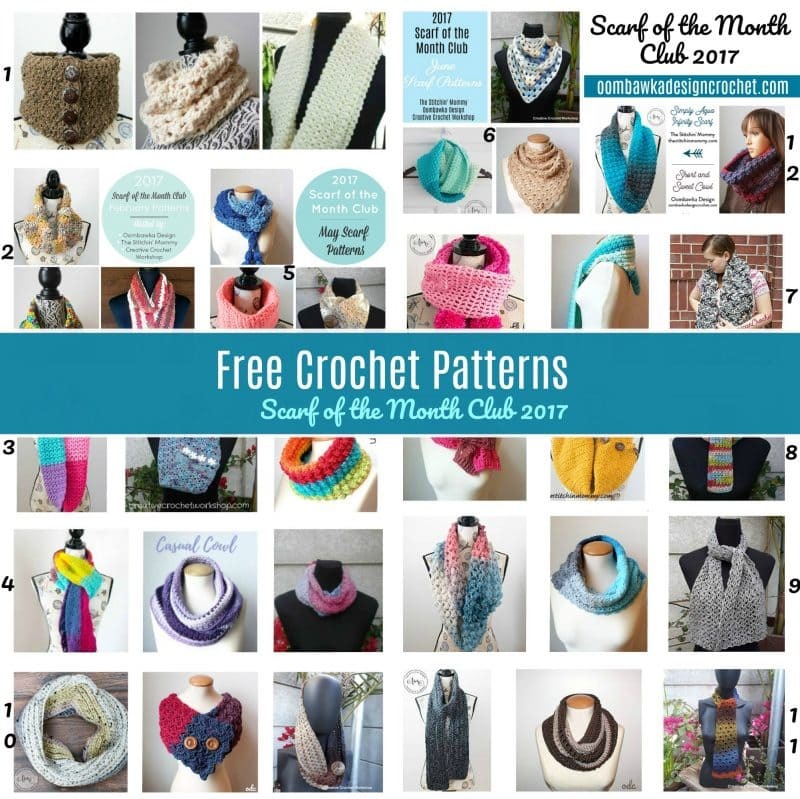 Below are the scarves we crocheted for 2017. 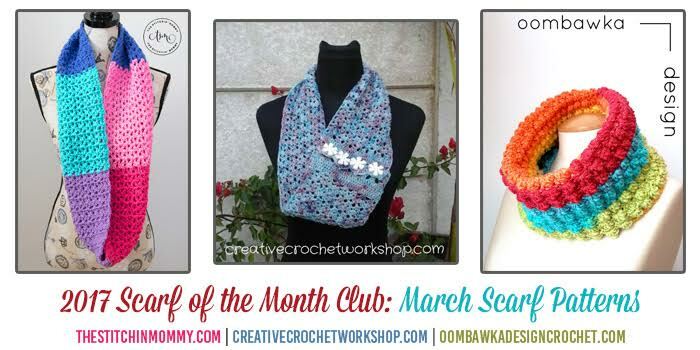 Click on the pattern name beneath the collage image to go to the pattern of your choice. 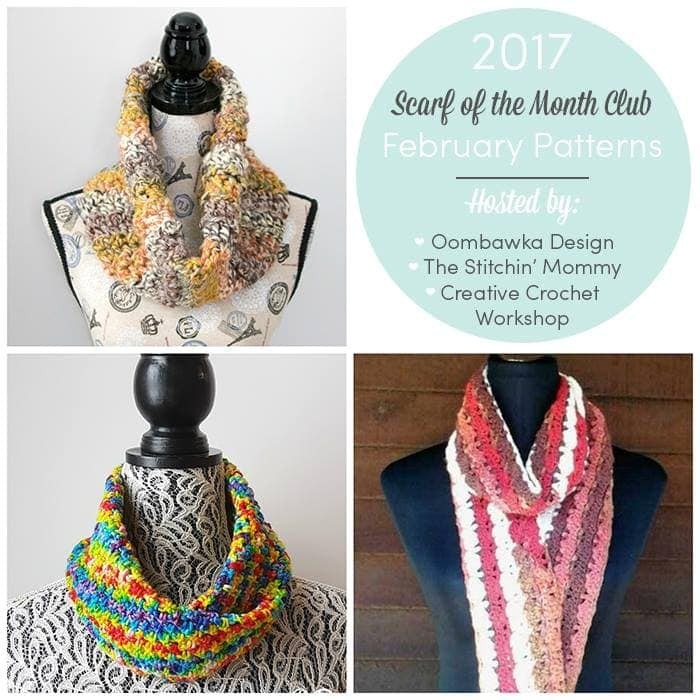 I can’t get any of your patterns. 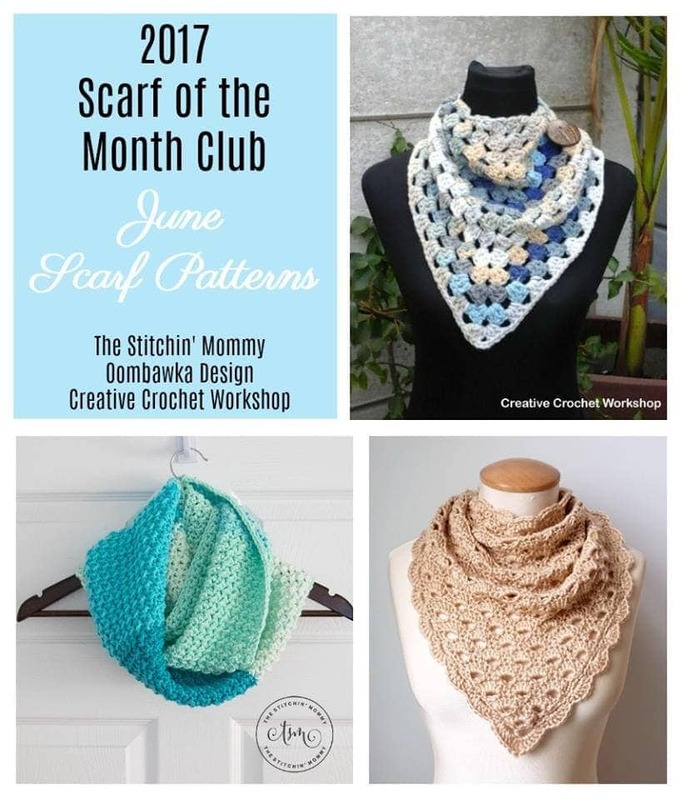 Can you tell me how to do it?